At Hackaday, we’re constantly impressed by the skill and technique that goes into soldering up some homebrew creations. We’re not just talking about hand-soldering 80-pin QFNs without a stencil, either: there are people building charlieplexed LED arrays out of bare copper wire, and using Kynar wire for mechanical stability. There are some very, very talented people out there, and they all work in the medium of wire, heat, and flux. At this year’s DEF CON, we opened the floodgates to competitive soldering. 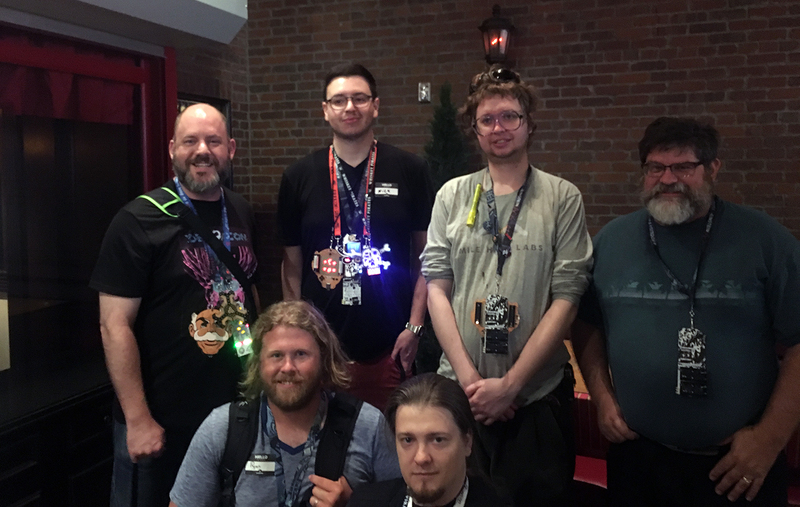 Along with [Bunny] from Hardware Hacking Village and the many volunteers from the HHV and Soldering Skills Village, dozens competed to solder up a tiny kit full of LEDs and microscopic resistors. The kit in question was an SMD Challenge Kit put together my MakersBox, and consisted of a small PCB, an SOIC-8 ATtiny, and a LED and resistor for 1206, 0805, 0603, 0402, and 0201 sizes. The contest is done in rounds. Six challengers compete at a time, and everyone is given 35 minutes to complete the kit. We’ve seen — and participated in — soldering challenges before, and each one has a slightly unique twist to make it that much more interesting. For example, at this summer’s Toorcamp, the soldering challenge was to simply drink a beer before moving to the next size of parts. You would solder the 1206 LED and resistor sober, drink a beer, solder the 0805, drink a beer, and keep plugging away until you get to the 01005 parts. Yes, people were able to do it. Of course, being DEF CON and all, we were trying to be a bit more formal, and drinking before noon is uncouth. The rules for this Soldering Challenge award points on five categories: the total time taken, if the components are actually soldered down, a ‘functionality’ test, the orientation of the parts, and the quality of the solder joints. The Soldering Challenge had an incredible turnout, and the entire Soldering Skills Village was packed to the gills with folks eager to pick up an iron. The results were phenomenal! We’d like to extend a note of thanks to [Bunny], the Hardware Hacking Village, the Soldering Skills Village, and MakersBox for making this happening. It was truly a magical experience, and now that competitive soldering is a thing, we’re going to be doing this a few more times. How do you think this could be improved? Leave a note in the comments. You’re correct you didn’t make is past the first beer. Hats off to these guys. I think most of my solder jobs end up looking like someone attacked it with a MIG welder. There could be a “best improvement” category. Document your earliest soldering and compare to recent work. I didn’t even know what good soldering was, until I got good at it. That wood burner iron didn’t help. The real mystery is that I stuck with it, through some simple projects that never worked, so I could improve. “Good soldering” is using 37/63 solder! Like those time-lapse videos where someone takes a picture in the mirror everyday for a year? Solder an 0402 every day and show us the improvement over time! Pretty sure it was said in his previous post as well, but BENCHOFF STRIKES AGAIN!!!! So that post was the pre defcon “we will do this thing!” post – this is the post defcon “we did this thing! here’s how it went” post… thank you for playing! Guessing the US will do about as well at this internationally as they do with all esports. Small amounts of booze are stabilising. Using alcohol is considered doping in shooting sports. But officer I read on Hackaday booze is stabilizing, so I kicked back few when I heard the roads where iced over. Next step: hand-steadying drugs and mechanically doped soldering irons. Good god, I don’t know what I was expecting, but it wasn’t that. Bust out. Man I need to stop trusting autocorrect. The rules for this contest stipulated using HHV irons and solder. All other accessories were fine to be brought by the competitor. I don’t drink and was powered by caffeine and days of sleep deprivation. Buy a stereoscopic microsocope. Seriously. If you work with SMT components it will be the best investment you ever make. Hands are capable of manipulating things on the tens of microns level, but they need adequate feedback. But do you know how hard it is carry one around at DefCon until your name gets called for your “heat”? My eyes aren’t _that_ bad but it is nice being able to read markings on 0603 uncorrected. I have no trouble hand soldering nice looking 0402 without magnification. People talk about shaky hands and such but that usually isn’t a problem. Dexterity and stability can be trained and technique used to improve and correct. Eyesight is more of a concern. Because I’m in the nearsighted camp I don’t know what to add for magnification, other than a quality, wide view loupe is handy for checking joints. I was hoping to see the competitor’s times and finished boards. Is that information documented anywhere? Yeah, it’s not entirely interesting without some pictures. The competition had a 5 minute “check your parts” time, and a 35 minute actual competition time. My time was 22:something, most people hit the full 35 minutes and most did not complete the board. Included in the bag the winners got is the hard version of this which I intend to live stream assembling with a timer next month. The trick is to not quit but maintain caffeine levels. Either don’t start or maintain. As someone pointed out above, alcohol reduces microtremors in the hand, hence is banned in Olympic shooting competition. But in SMD soldering there are techniques to reduce any sort of shaking. The tip isn’t held in free air, you are able to form a sort of triangle between your elbow/arm, iron in your hand, and tip on the board. 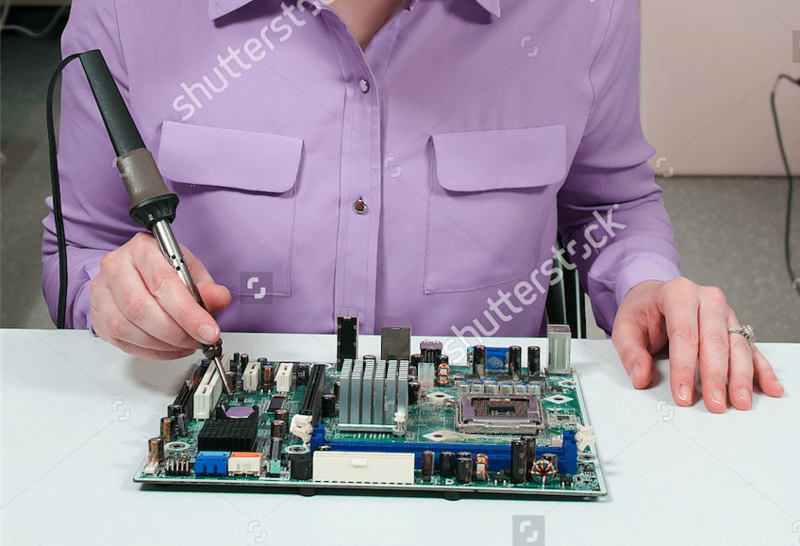 One key to a good solder joint is heat transfer, so having the tip firmly on the board will help in two ways: provide good heat transfer to the board and stabilize your hand / iron. From there it’s just good dexterity to get the tip into position even with shaking, and practice / skill to be able to do that consistently. I didn’t even know that an 008004 package *existed*. My god. That was beautiful. But then I saw it was 63/37 solder. Good gravy, I wish I was that person’s flux supplier. I could retire next week. And using that tip for anything smaller than the 0603 is a joke. Kind of like using a sledge hammer to put thumbtacks in a cork board. I solder parts this small and I use a D16-D24 tip most of the time with a crap China iron. Tiny tips mean crap thermal transfer, and more precision needed to have the thermal transfer where you need it. If you have space around the part, use a bigger tip. This tip in no way is too large for these parts. The sledgehammer analogy does not work here. I rarely solder while being sober. In fact, most geek related activities require a minimum amount of inebriation. However in my experience this does not include brewing beer strangely enough..